This site offers a general overview of the history of the Bursar’s Office Takeover. However, this is a complex story and the history presented here only scratches the surface. 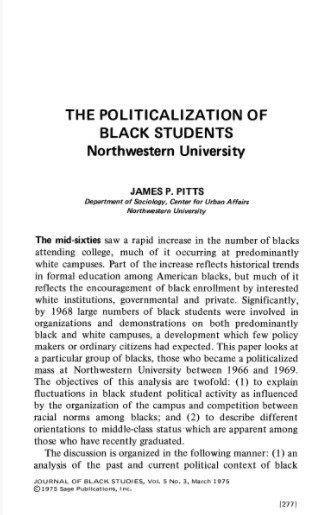 For more information about the Black experience at Northwestern University prior to the Takeover, the origins of the Takeover, and its legacy, please visit Northwestern University Archives located on the ground floor in Deering Library. The bibliography below offers additional sources relating to the history of the Takeover. “Alumna Kathryn Ogletree Speaks About Bursar’s Office Takeover Experience,” by Amy Li. “The Anniversary of the Takeover: A Reflection on Protest and Progress,” by Charla Wilson. “Arts Performances Celebrate the Spirit of the Bursar’s Office Takeover,” by Stephanie Kulke. “Black Alumni, University Officials Gather for Symbolic Groundbreaking Ceremony at Black House,” by Alan Perez. “The Black Student Sit-in of 1968,” by Rebecca Lindell. “Coming of Age,” by Curtis Lawrence. “Daphne Maxwell Reid, ’70 Actress, Designer, Film Producer,” by Nancy Deneen. “Funding Announced for Events Commemorating 1968 Bursar’s Office Takeover,” by Storer Rowley. 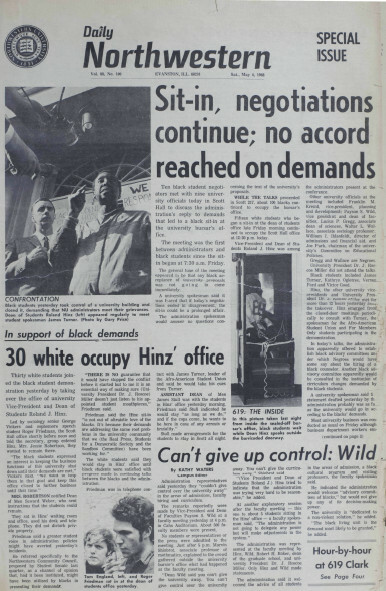 “In Focus: Fifty Years After Bursar’s Office Takeover, Northwestern Reconciles Continued Parallels in Black Student Concerns,” by Troy Closson. “It’s Like a Legend: Remembering the 1968 Bursar’s Office Sit-In,” by Jason Mast & Rosalie Chan. 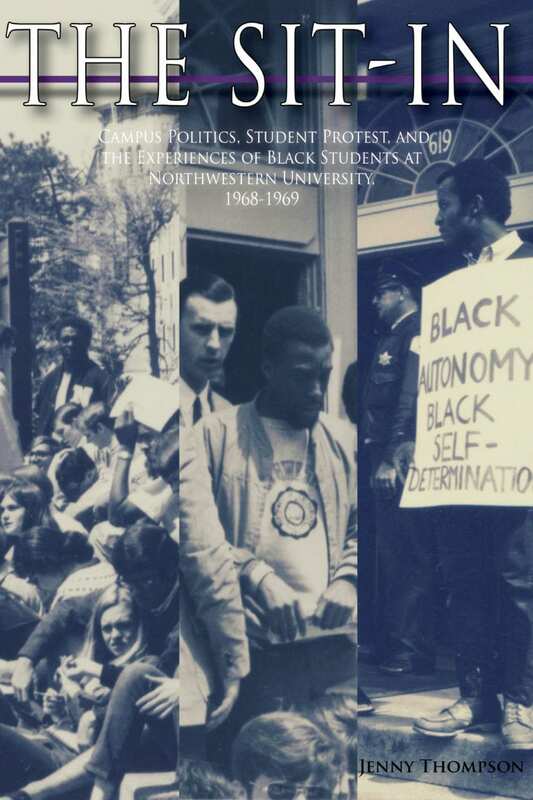 “Northwestern Commemorates 1968 Takeover of Bursar’s Office by Black Students” (NU Press Release). “Northwestern Commemorates 50th Anniversary of Bursar’s Office Takeover,” by Maddie Burakoff. “Northwestern Commemorates a Transformational Event, the Bursar’s Office Takeover of 1968,” by Northwestern Now. “Northwestern Black Alumni Association Plans Task Force for 50th Year Commemoration of Bursar’s Office Sit-In,” by Fathma Rahman. “NU Black Alumni Association Premieres Documentary on Bursar’s Office Takeover,” by Troy Closson. “NU Honors Evanston Community for 1968 Bursar’s Office Takeover Support,” by Elizabeth Byrne. 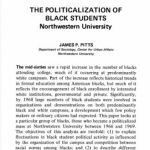 “The Politicalization of Black Students,” by James Pitts. 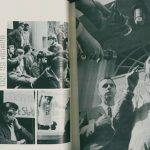 “Shepard Hall Opens Exhibit Highlighting Past, Contemporary Student Activism,” by Troy Closson. “Students Demand University Action on Black Student Experience, Departmentalization, Dining Transition,” by Troy Closson. 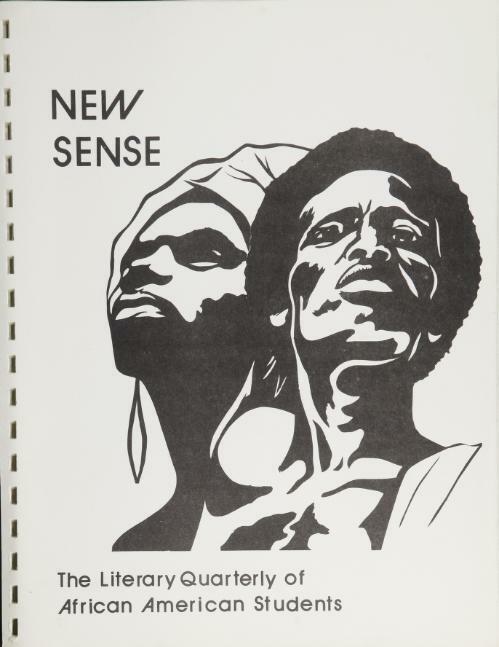 “They Demanded Courageously: Exhibit Honors 1968 Black Student Protest,” Footnotes Magazine. James Turner speaking on Bursar’s Office Takeover, May 9, 1968. One Generation Ago: A Scrapbook: An Observance of an Era, by Cherilyn Wright and Barbara Perkins. 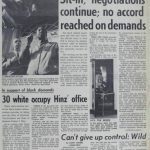 How A 1968 Protest at Northwestern University Still Resonates (Interviews with Takeover participants Debra Hill, Adrianne Hayward, and Sandra Hill). Barr discusses school integration and fair housing in Evanston, Il from the 1960s-1970s. There is a brief inclusion of Black student life at Northwestern University and of the Takeover in relation to the city’s changing demographics. Biondi offers a historical overview of the Black freedom struggle as it played out on college campuses. Chapter three focuses on the 1968 Takeover at Northwestern University and the creation of the African American Studies Department. Chicago poet and Northwestern University alumna, Angela Jackson, tells the story of the fictional midwestern Eden University, loosely based on Northwestern University. The story follows 17-year-old Magdalena ‘Maggie’ Grace as she leaves her African American Catholic family for the predominantly white school. Maggie experiences being a participant in the Takeover and recalls key figures and events associated with the event. Jackson enrolled at Northwestern University in the fall of 1968. In chapter three, Semmes “explores the problem of legitimacy facing Black Americans by analyzing the perceptions, experiences, and coping strategies of Black students at a White, elite university who sought careers as artists.” This sociological study focuses on students at Northwestern University students. The author was a Takeover participant and an officer in FMO. In this memoir, Sisney discusses her experience as a Black woman attending white institutions. Sisney, an alumna of Northwestern University and Takeover participant, also describes the events of the Takeover. A history of Northwestern University was written in 1975 by Payson Wild, Northwestern Provost, and a key figure in the Takeover, and Harold Williamson, Professor of American and European economic history at Northwestern University. This history of the University briefly discusses the Bursar’s Office Takeover and related events. A history of the Bursar’s Office Takeover. It features interviews with Eva Jefferson Paterson, James Turner, and Jack Hinz. 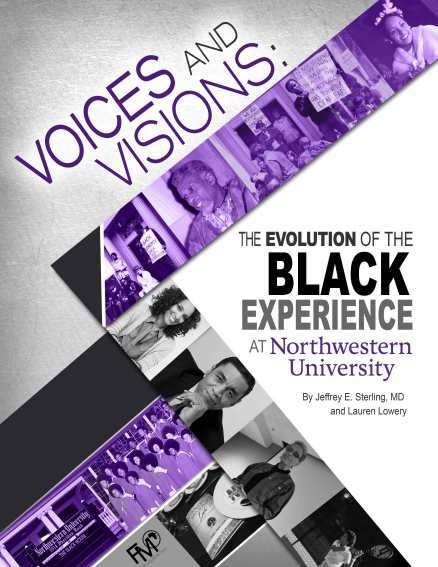 A history of the Black experience at Northwestern University, including interviews with Takeover participants. The African American/Black Experience Final Report, Summer 2016, by Black Student Experience Task Force. 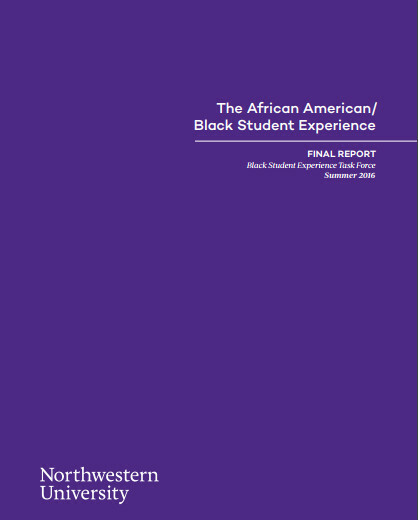 “A thorough review of existing Black satisfaction data and reach an understanding of its contributing factors and generate recommended strategies and systems Northwestern can employ to improve the satisfaction of the Black undergraduate student community.” The report contextualizes its analysis with the history of the Takeover as it also responds to the fall 2015 demands presented to the University by Northwestern University students. Blackbeat is a biweekly newsletter aimed to supplement the quarterly Blackboard magazine, the official publication of For Members Only (FMO). It includes editorials, poetry, cartoons, and announcements to Black students at Northwestern University. Blackboard is the official publication of For Members Only (FMO). It provides Black students at Northwestern University with news and relevant campus editorials. Currently, the publication is digitized up to 2011. 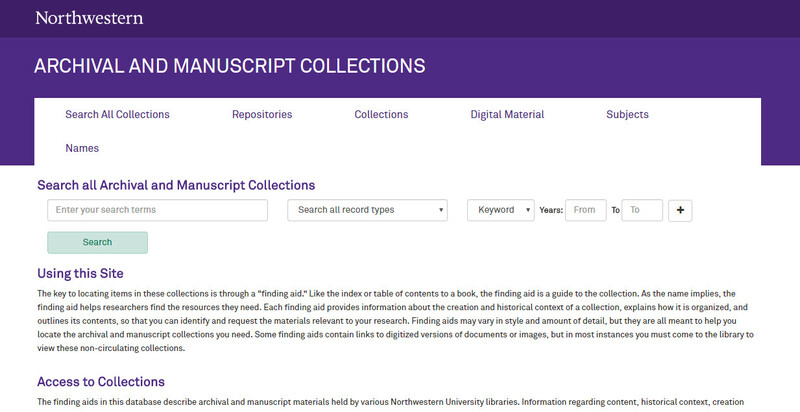 However, publications from 2012 to the present are available in print at University Archives. 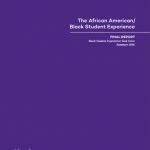 The Black Student Handbook includes on and off-campus resources for Black students at Northwestern University. It also has a brief history of the Black experience at Northwestern and the leadership structure of For Members Only (FMO). Additionally, it features a calendar of events for the academic year, a list of contact information for Black faculty, administrators, staff, and offices, Black businesses and churches in Evanston. Publication of For Members Only (FMO). 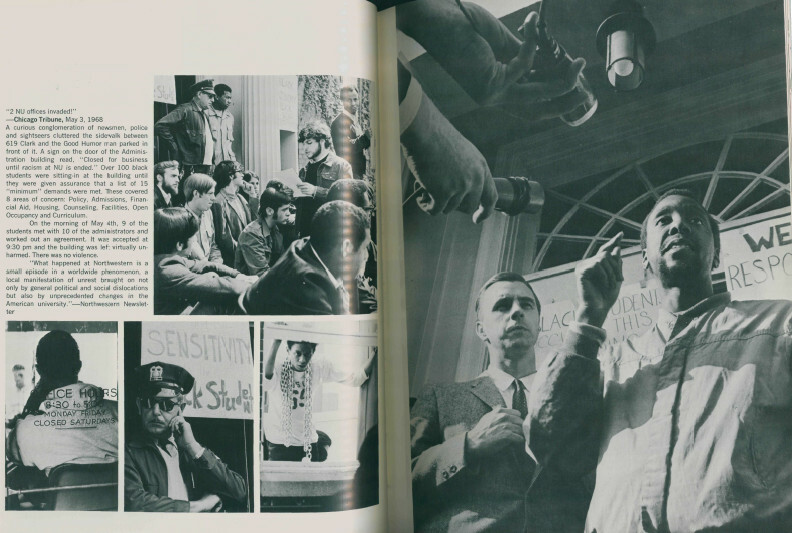 The 1969 edition of Syllabus, Northwestern University’s yearbook, has a spread on the Bursar’s Office Takeover. It includes a description of the Takeover, photographs, and poetry. Voices and Vision is a quarterly literary magazine to celebrate Black artists, poetry, photography, paintings, and drawings. 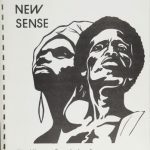 The digitized collection represents the publication’s resurgence from an earlier 1970s magazine called New Sense. First official publication of For Members Only (FMO), a precursor to Blackboard. The newsletter of The Office of African-American Student Affairs. The mission of the publication is to expose undergraduate Black students to African American role models, Northwestern faculty, staff, alumni, and graduate students and support their personal and professional development of futures Black leaders.